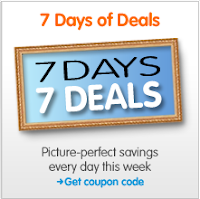 7 Days of Deals at Walgreens Photo Center continues Today’s deal is 50% off of an 11×14 Poster. Use the code POSTERSIZE at checkout. If you prefer to place your order in the store, just head grab this printable coupon.